Are you ever traveling or out on errands, and wishing you had a file from your laptop? It feels like anytime I am out and about, I am always missing something. Sometimes it is nothing more than just a cute picture of Reya I can’t easily access, or notes when a client quickly calls me on the phone and I don’t have access to my desktop. Luckily, there is the perfect answer for busy girls like me – the SanDisk Connect Wireless Stick. When I was asked if I would review a complementary wireless disk, I couldn’t wait for it to arrive in the mail and get started! SanDisk Connect Wireless Stick: What is It? Looking for a way to get extra information to your phone or make sure you have anything important for a project while you are on the go? If so, we think you will love the SanDisk Connect Wireless Stick. This drive allows you remotely connect to devices with or without a USB port, making it easy for you to have your whole music library on hand, share files with friends, or even stream movies. Best of all, it works with most phones or tablets, making it a great way to backup information too while you are on the go. To learn more, make sure to check out the video below! As someone who is constantly on the go, I love the idea of being able to have a large amount of data on me anywhere. While my iPhone can hold quite a bit, sometimes I get tired of my music, especially when I’m stuck in a hotel room waiting for my husband to get out of work. Now, I can have not just music, but just about any size file I will need for a trip or filed I need for a potential client. Since three devices can hook up to this drive at once, my husband and I can even both use it at once, making it ideal for people like us who are constantly on the go! SanDisk Connect Wireless Stick: Where to Purchase? Do you want to purchase this drive for someone you know? You can buy this device (starting at $24.99) at Best Buy, Amazon.com, or use the store locator on the SanDisk website to see more locations near you! 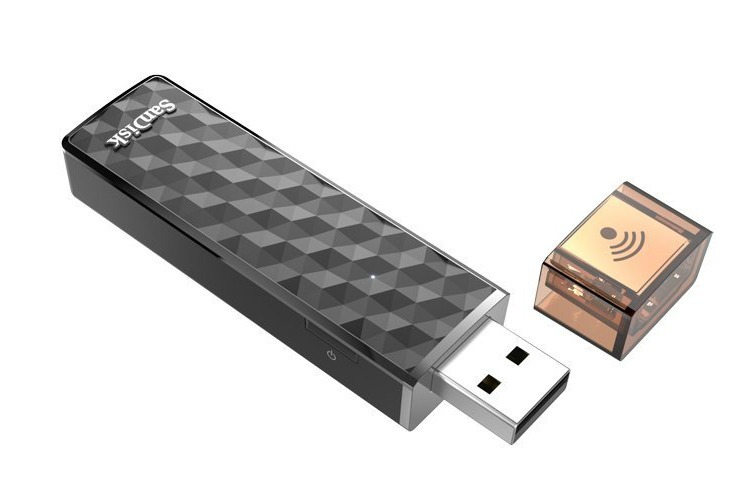 Currently, the SanDisk Connect Wireless Stick is available in any of five sizes – 16 GB, 32 GB, 64 GB, 128 GB, and 200 GB. Who knew bringing data with anyone could be so easy!? Want to learn more? Check out SanDisk on social media! I have several USB sticks but none are wireless. Looks like a good product. If you would like to take much from this paragraph then you have to apply such strategies to your won website. This would come in very handy. I’d love to get one. Thanks for sharing! wow, i love tio have this. i can have this on the go and not have to worrynabout anything, talk about a stress reliefer. Very useful for quick share of files, especially if you are out of time or devices, curious whether it requires any additional synchronization software and about its battery life, all in all it is a pin point product for the targeted customers. I think thee are great memory sticks. I love that they are wireless too. The can also hook up to 3 devices at the same time which is an added bonus. This review wasn’t clear about software for the device or is none needed ? I’ve never heard of such a thing. I can now tell others about it!